At Orange Avenue School, recent CFEE grants provided technologies that are opening up new avenues of learning and creativity to students. One grant paid for Lego Mindstorm robotics kits, designed to reinforce science, technology, engineering, and math (STEM) knowledge through hands-on lessons. 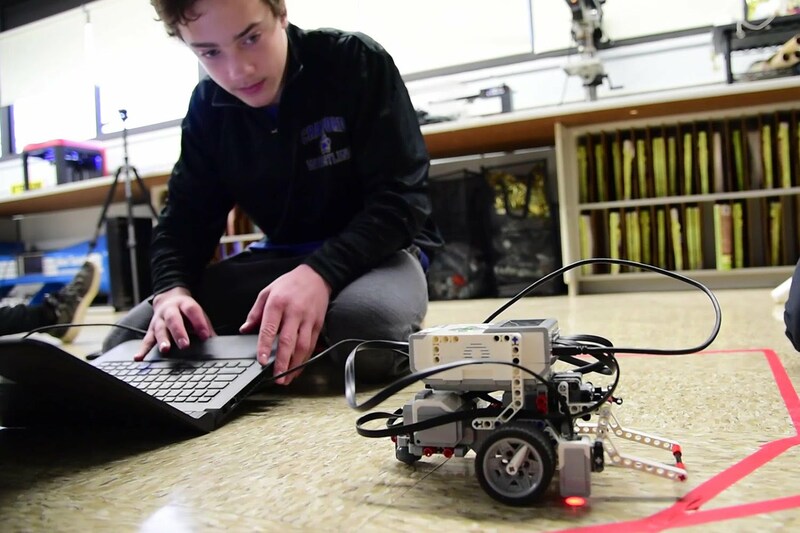 One lesson calls for designing and programming a robot to follow zigzagging red tape on the floor, a task that three seventh-grade students took up with gusto—a month before the class was scheduled to tackle this particular challenge. The trial-and-error process of programming the robots also helps students push past any hangups about making a mistake. The robots are used in a popular technology class that integrates math, programming, and engineering. The grant paid for new, more advanced robots to replace the worn-out models the class had been using. Another grant funded a 3D printer, which is stimulating students’ interest in learning to design things, since the printer makes their designs tangible. It will be used schoolwide, allowing students to make models to support math, history, biology, or other subjects while also learning about widely used up-and-coming technology.